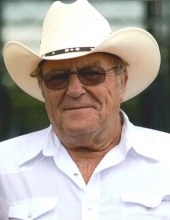 Chester M. Henk, a life-long resident of New Braunfels, passed away at his home surrounded by his loving family on Sunday morning, January 27, 2019 at the age of 73. Chester was born on November 12, 1945 in New Braunfels to the late Monroe Henk and Mary Fiebrich Henk. Chester served his country proudly in the United States Coast Guard. He enjoyed spending time with his family and being surrounded by the laughter of his grandkids. Chester was preceded in death by his parents and his three sisters, Phyllis Altwein, Kathy Hanover and Loretta Henk. He is survived by his wife of 49-years, Barbara (BB) Henk; children, Chad Henk, Cristi Smith and husband, Shannon, Casi Hinojosa and Coby Henk and wife, Jonanie; grandchildren, Allen, Hunter, Ty, Tanner, Emily, Braeden, Jake, Charlotte, Hudson and Devin. In addition, Chester is survived by two sisters, Claudia Zunker and Pauline Doege. A time to visit with the family will be held from 5:00 PM to 8:00 PM with the recitation of the Holy Rosary at 7:00 PM on Thursday, January 31, 2019 at the Lux Funeral Home Chapel. The Mass of Christian Burial will be celebrated at 10:00 AM on Friday morning, February 1, 2019 at Sts. Peter and Paul Catholic Church with entombment to follow at Sts. Peter and Paul Catholic Mausoleum. In lieu of flowers, memorial donations may be given to New Braunfels Hope Hospice or to Sts. Peter and Paul Catholic Church. The family would like to thank everyone who supported them during his care. They would also like to extend their gratitude to Julie-RN and David-CNA, both of Hope Hospice, for the utmost compassion and care given to both Chester and his family. To send flowers or a remembrance gift to the family of Chester M. Henk, please visit our Tribute Store. The recitation of the Holy Rosary will take place at 7:00 PM on Thursday evening, January 31, 2019 at the Lux Funeral Home Chapel. "Email Address" would like to share the life celebration of Chester M. Henk. Click on the "link" to go to share a favorite memory or leave a condolence message for the family.